Many of the new homes that are being built today are using a popular type of siding called James Hardie siding. This type of siding is a type of fiber cement siding which is manufactured for use on homes. It works well in Michigan even with the climate of harsh winters and hot summers. Although this type of siding is relatively new it has gained loads of popularity over the past decade because of the advancements in the making of this siding and more. In fact, there are many reasons why this is one of the more popular types of siding in Michigan today which I’ll go over some of these benefits below. Whether you’re building a new home or using a home remodel to replace the siding on your home there are many benefits of using James Hardie siding. I’ll outline some of the benefits below but be aware that whether you’re replacing your old siding with James Hardie siding or installing it on a new home the benefits will remain the same. 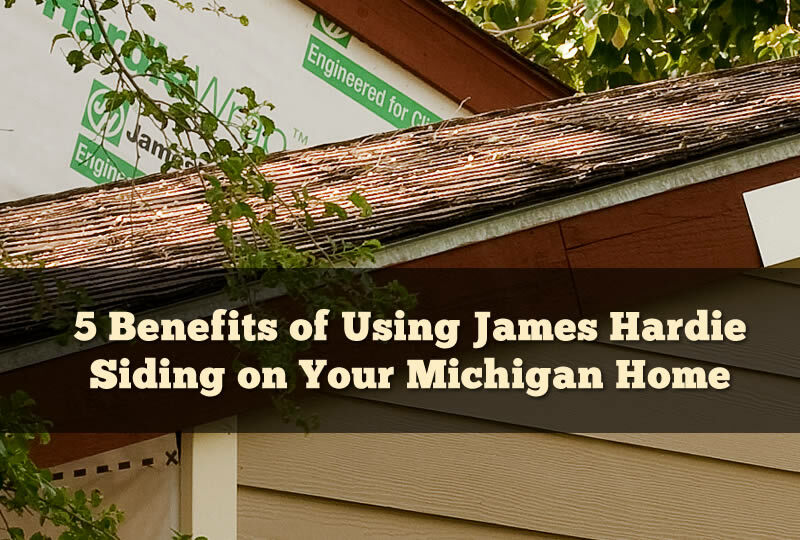 There are other types of fiber cement siding available which I’ll go over in other areas of this site but this article is only focused on James Hardie and using it in the state of Michigan. There are many siding choices that you can now pick from for your home. However, getting damage to the siding can be a problem. In fact, one of the biggest problem of aluminum siding is that it dents easily. James Hardie siding doesn’t dent unless it’s been struck extremely hard. It’s also less susceptible to cracking than vinyl siding which is very important in the cold climate of a Michigan winter. Once the siding is installed it provides a protective barrier of your home which does not damage easily. Painting a home can be an expense that happens a lot if you have wooden siding or metal siding. One of the benefits of having James Hardie siding installed is that it comes with the color already baked onto the planks. No need for painting or finishing. The color is baked on more than once also so even small dings doesn’t show much because of the color that is added. There are over 25 colors to choose from at the moment with more and more being added regularly. Want a set and forget siding for your home then James Hardie may just be that siding you’re looking for. Once the siding is installed there is very little maintenance required. In fact, the only thing you’ll likely need to do from time to time is rinse the siding with a garden hose to remove dust that may have collected on the siding. There is no sealing, painting, or calking required when James Hardie siding is installed on your home. 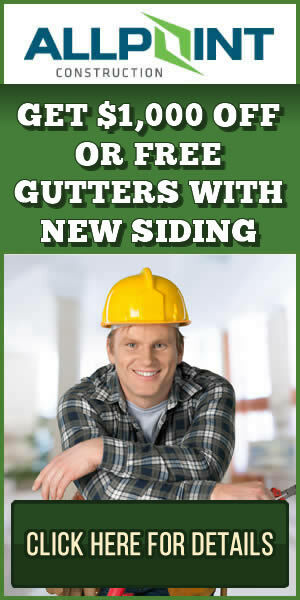 Want a set and forget siding for your home then James Hardie may just be that siding you’re looking for. Once the siding is installed there is very little maintenance required. I’ve already mentioned that there are many color choices available for this type of siding but the design for the planks can be different as well. Choose your siding material to look like wood finish siding for that traditional look. You can also choose from a smooth finish for more modern design of your home. There are many different choices for the patterns and look of the siding you can choose from. And all of these choices come in the host of color options as well giving you plenty of choice. Just adding siding to your home may make it look great but you’ll also want to add the other parts of this siding package. James Hardie siding also offers things like soffit and trim work to make your entire exterior of your home match perfectly. An entire siding system for your home is available from James Hardie siding. Although James Hardie siding is a great choice for siding on your home it’s extremely important that you use a qualified siding contractor in Michigan to install the siding on your home. You may void the warranty if you plan on installing this siding yourself or hiring a contractor that isn’t certified. PreviousShould You Cover Your Existing Siding with New Siding?